Tool steel highly alloyed with chromium, molybdenum, vanadium and tungsten for hot-forming tools as for example forging dies, extrusion dies, permanent molds such as ingots and die casting molds. 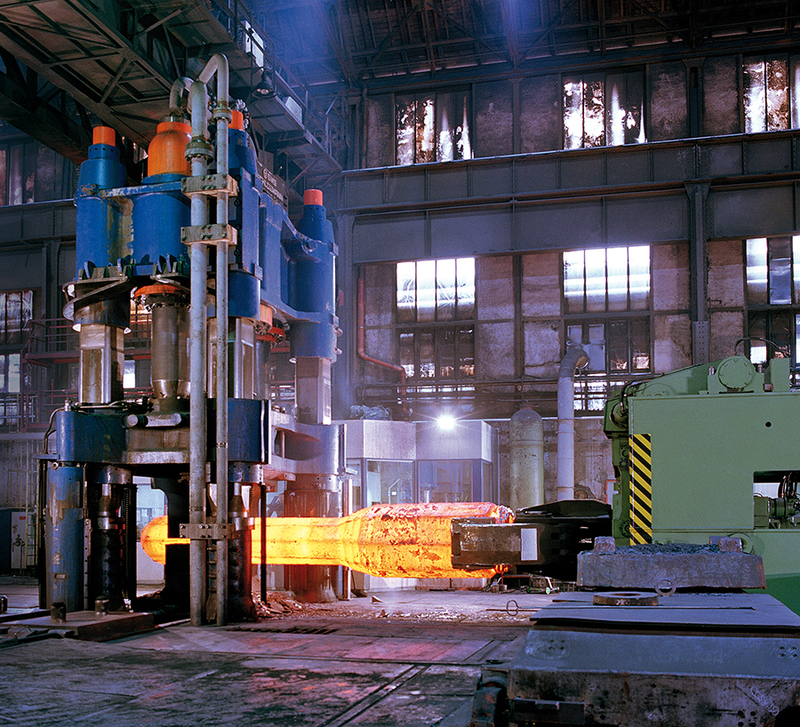 One of leading supplier of hot-forming steel is Böhler Edelstahl GmbH & Co. KG Kapfenberg/Austria. The long-term temperatures to be endured are always above 200 °C and may be up to 600 °C (s. V). 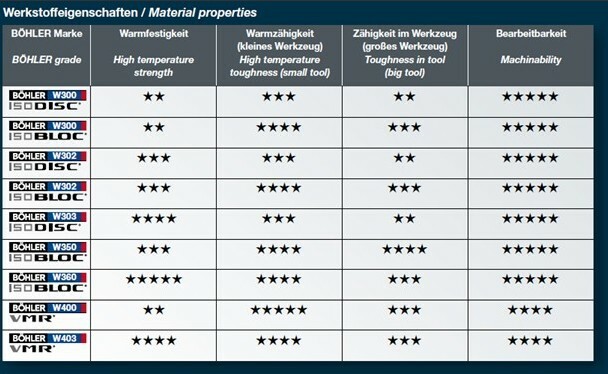 Points where this steel is in contact with the material to be processed (e.g. die cast parts) show the highest temperature peaks. These steels have a good annealing resistance and are mostly resistant to hot crack formation even if they are cooled down significantly (Die casting, Gravity die casting). Furthermore, these steels are resistant to high temperature erosion caused by liquid metals.